The federal government's apology for one of Canada's most shameful anti-Semitic episodes was personal for some of Prime Minister Justin Trudeau's cabinet ministers. 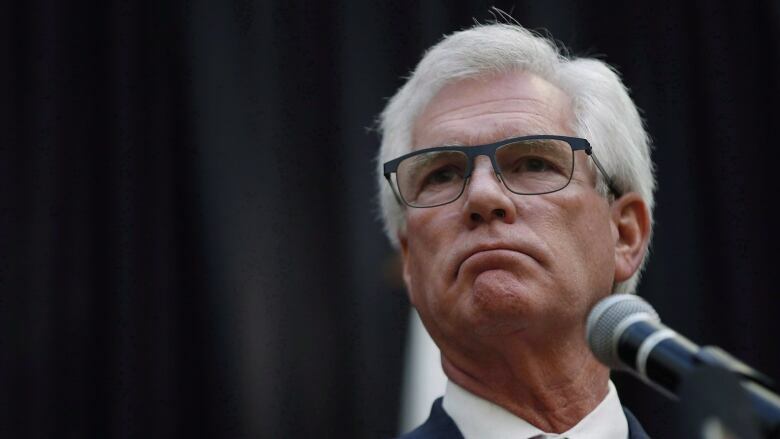 For International Trade Diversification Minister Jim Carr it brought back painful memories of being beaten to a pulp just because he's Jewish. "When I was 15 years old in junior high school, on a cold, crisp February night in Winnipeg, I went with a friend to a hockey rink," Carr recalled during a reception following Trudeau's apology Wednesday for Canada's refusal to give refuge to more than 900 Jews fleeing Nazi Germany. "We were surrounded by a group of thugs who said, 'Jews are not allowed here, get out.' And we ran and they caught up and they beat us up and they stole our money and they left us in a pool of blood." "The community came to say, 'We are with you. When they attack you, they attack us all,"' he said. "This is the reality of being a Jew. This is the reality of being a Canadian. I am proud to be both." A couple of hours earlier, Trudeau formally apologized in the House of Commons for the federal government's refusal in 1939 to give asylum to 907 Jewish passengers aboard a German ocean liner, the MS St. Louis. "To harbour such hatred and indifference towards the refugees was to share in the moral responsibility for their deaths," Trudeau told the Commons. As the granddaughter of Holocaust survivors, Democratic Institutions Minister Karina Gould told the reception later that "today represented the very best of what Parliament can be." "For me, it was so important not only to recognize the wrongs that a previous government had committed with regards the MS St. Louis, but to recognize that in today's day, we do not accept that kind of discrimination, we do not accept that intolerance and we do not accept that persecution." "I am here, the third generation in Canada, because Canada opened its arms, too late for many but in time for us."